You’ve defined your retirement dream. You know what you want to be doing and learning, where you want to live, where you want to travel. You’re probably excited to start your financial planning now. Great! Before you create a financial plan for retirement, it’s important to take a holistic look at your financial life and take stock of what you already have. This allows you to see how far along you already are toward achieving your retirement goals. Knowing both where you are and where you want to be are essential to creating a solid financial plan for the future. During this phase of retirement planning, your Advance Capital Management adviser works side-by-side with you to gather all of your financial information, including insurance and annuities, retirement accounts, investments, assets, and liabilities. We’ll use that information to develop a workable financial plan that’s designed to put you on a path toward your retirement goals. At first, it can feel overwhelming to assess your financial situation. The process can also stir up anxieties about the future or fears about not being where you should be. That’s okay—lots of people feel this way. 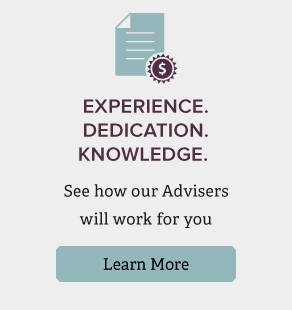 With a trusted Advance Capital Management adviser in your corner, you have a wealth of knowledge and experience working for you. Completing this step often brings a huge sense of relief and helps address concerns about retirement. Because you’ll understand exactly where you are, you’ll be able to start financial planning with confidence. You’ll know exactly what you need to adjust, what you should add and what you’re already doing well. In short, you’ll take control and be able to confidently set out on the path to your ideal retirement life. Once you’ve gathered all your financial information, we’ll work together to develop a retirement plan that works for you.